Wilmington, Delaware City Officials are pleased to announce the return of the Delaware Symphony Orchestra (DSO) to Tubman-Garrett Riverfront Park this Fourth of July. The DSO will cap off the City of Wilmington’s Independence Day festivities with a celebratory concert of American music, followed by the traditional fireworks display over the Christina River. 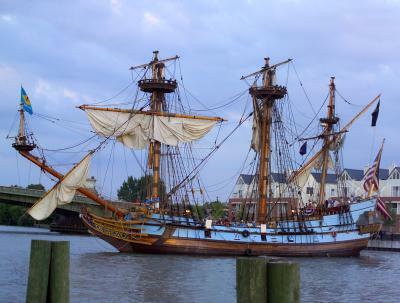 The City’s Fourth of July celebration kicks off at Tubman-Garrett Riverfront Park at 12:30 p.m. with local bands, food vendors, children’s games, tours of the Kalmar Nyckel, and other family-themed activities. 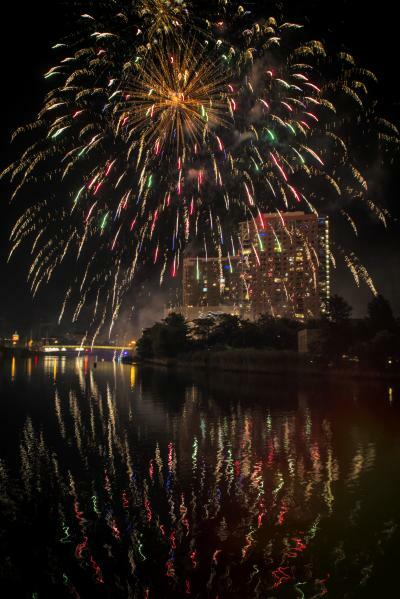 The Symphony performance will begin at 8 p.m., to be followed by a spectacular fireworks display at about 9:30 p.m. Other events will take place along the Riverfront throughout the day, including Riverboat Queen and River Taxi cruises and live music at Constitution Yards. The program will feature music by American composers, including Dudley Buck’s Festival Overture, Fanfare for the Common Man and Variations on a Shaker Melody by Aaron Copland, a set of marches and other music by John Philips Sousa, the Armed Forces Salute arranged by Bob Lowden, and John Williams’ music from his Star Wars Suite. In tribute to the 100th anniversary of the great Leonard Bernstein, the DSO will perform selections from West Side Story. The program will be capped off by a work synonymous with outdoor summer concerts in the United States, but composed by a Russian: Piotr Tchaikovsky’s 1812 Overture, complete with several of the Bells of Remembrance. Full information on this program and the DSO season is available at delawaresymphony.org. The public is invited to bring a blanket, chair, lawn games, and your own picnic. Local vendors will be on hand, as will local bands, children’s games, tours of the Kalmar Nyckel, and other family-themed activities. The Delaware Symphony Orchestra performs a celebratory concert of American music. The July 4th Freedom Celebration Fireworks Show will conclude the evening. To learn more about the daytime July 4th activities along the Riverfront, visit the Riverfront Development Corporation at www.riverfrontwilm.com. Guests are encouraged to park at the many different lots around the Orange Street and Market Street areas. Visit the Riverfront Wilmington website for directions to these sites. Please note that parking at restaurants along the Riverfront is for restaurant patrons ONLY.